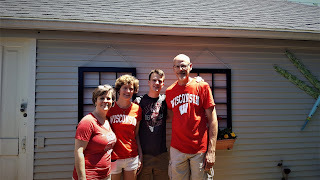 On Tuesday of this week, we will be moving our son into his dorm room at the University of Wisconsin, Madison. 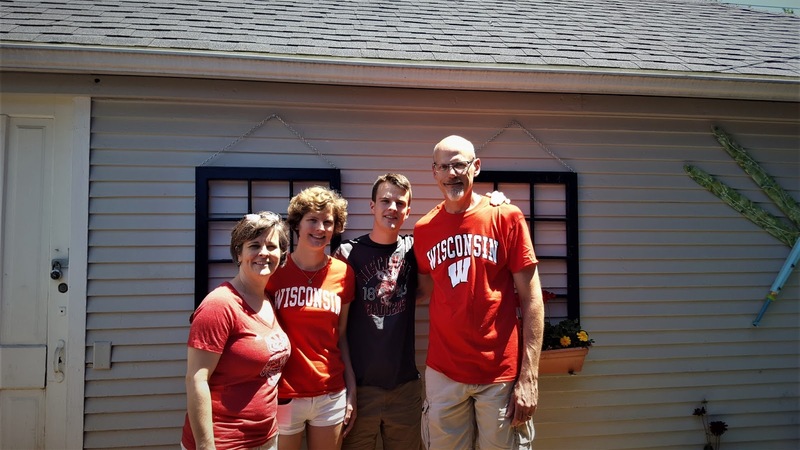 He chose Madison after deliberating over UW-Milwaukee, the University of Minnesota and UW-Madison. He said he liked the feel of Madison best and of course we encouraged him to follow his heart. Our kids see things differently and their college choices reflect that. So, as he goes off, We'll push him out of the nest and hope that the flying lessons we've given him these past 19 years have had some effect. And while I won't tell him to his face, I'd like to tell him some things that he may want to consider these next few months and years. Enjoy these four years: There will be times of extreme stress and pressure, with exams, work, studies and deadlines, be sure of that. But when I look back, my college years were some of the best of my life. It is a cool time where you're juggling the balance of adult responsibilities without all the burden of full time employment, a mortgage and kids. This is absolutely the reason I took my time in finishing up with my degree. I didn't want it to end. Open your mind: During your studies you will be exposed to concepts and ideas and theorems that will shape your world view. I can still remember reading Charles Darwin's: On the Order of Species by the Means of Natural Selection, and having it blow my mind. You will come across equally as mind blowing revelations during your college career. At the same time, college is where you go to learn how to learn. Your thirst for knowledge will only be whet after these 4 years. It's just the start. Choose your friends wisely: Some of your high school friends will remain your friends for life, some will not. Use your college experience to meet new friends - friends who will accept you for who you are. Friends who you will stay up with till 3:00 AM talking to about the world and family and religion and the cool bands. Some of these will stick and be friends you have for life. Find out what you love: Don't worry about the life/death decision about declaring a major. College is about figuring out what your passion is - what you could really enjoy doing for the rest of your life. For myself, I knew the moment I finished my first Cartography 101 class that if I could do mapping for a career, I would be very happy. 40 years later, I can still say I love my job. Work first, then play: This is a basic tenet for all of life. Getting your work and study commitments done lets you hangout with friends worry and guilt-free. It took me a year of crappy grades before my older brother gave me advice to stay at school and study before I went to work, instead of going straight home and goofing off. It changed my effort level and that impacted my grades for the better. It's funny how I remember Tom's conversation, but that's what it took. I think you're a better student than I ever was, so this will probably be more innate for you. Get involved: Play intramural sports, march on the capital square (but don't get tazed, dude! ), do research, join a school club, go to school plays, volunteer to help organize a dorm event, go to the homecoming football game, fight for a cause, take part in the student snowball fight, become a Writing Fellow, use the student fitness centers. All of this is part of your 4 year experience. Take advantage of the opportunities in front of you. Just writing about it makes me jealous. Be yourself: If there's one thing I admire about you and Sarah is your ability to be your own people and not follow the crowd. There will be incredible peer pressure, sometimes to do stupid things. It's my hope that you will pick and choose those who accept you for who you are and the ideals you stand for and disregard the rest. Your real friends accept you for who you are and vice verse. Be proud of your Badgerness: I remember being proud to be a Gopher and part of a Big Ten school. I hope you will relish in the rivalries of big games with other Big Ten teams. Wear your red and white with pride, but respect those of us in the house in Maroon and Gold - especially when it comes to that dreaded football matchup. Have mercy on us. Recognize your earned privilege: I hope you never forget the statistics that the keynote speaker used regarding your status as an accepted student of UW Madison. You are in one of the top Universities and possibly the top research university in the world. You will be among 45,000 other students as lucky and smart as you. Use this time to grow in knowledge and experience. You are a top percenter for a reason - because you've applied yourself to your schooling amazingly and are incredibly talented. Use your gifts. No matter what happens, I love the young man you've become. I see it every time you engage with other adults, even the middle-aged, sometimes annoying ones, like me. You listen to people, you react appropriately and are respectful. These simple skills will take you far in life. And as I've said many times before, I don't know what we did to get such good, well-rounded kids, but I thank God for you and your sister every day.